Ugly mutants. Wasteland samurais. Otherwise peaceful buffalo that may or may not have whispered insults under their buffalo breath. If it exists in RAGE 2’s wide-open wasteland, there’s an extremely high chance that it’s out to murder you. 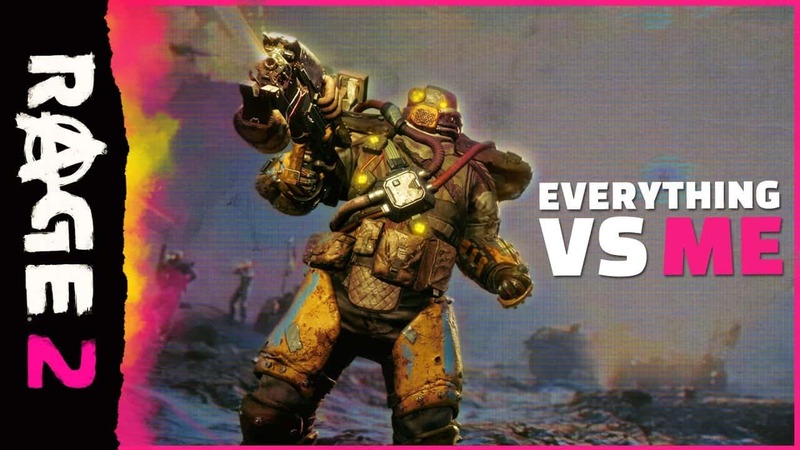 WATCH the new Everything Vs. Me trailer here to see what kind of atrocities players can expect to shoot/punch hard/get bit by. RAGE 2 launches on May 14, 2019 for Xbox One, PlayStation 4, and PC. Check out the official RAGE 2 site at Bethesda.net/en/game/rage2 to pre-order and to watch more over-the-top videos. The whole world is out to get you, so make sure you get it first.